"NON NATIVE" - March 5, 2011 from 7-10pm. 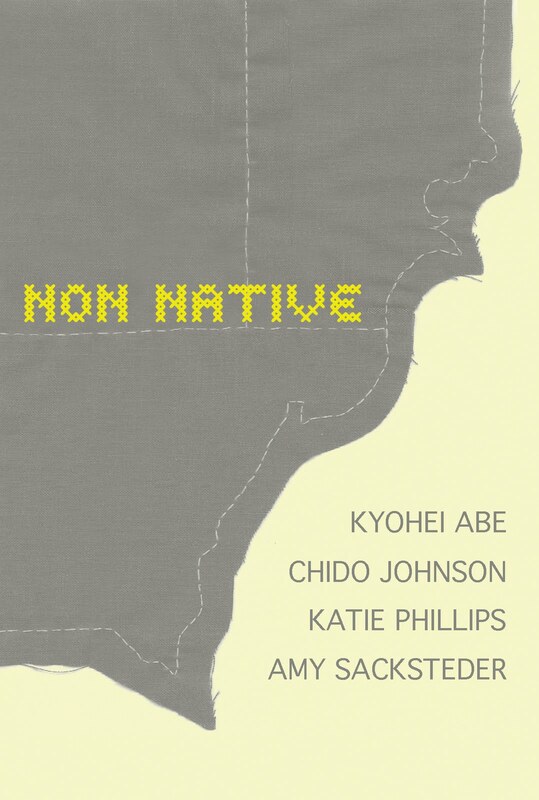 NON-NATIVE brings together a group of four Non-Michiganders who are currently living and working in the Metro-Detroit area. The exhibition highlights the role community and sense of place plays in work that addresses varying cultures, techniques, traditions and methods. Participating artists include Kyohei Abe (Anjo-shi, Aichi Japan/Ferndale), Chido Johnson (Nyadiri, Zimbabwe, Africa/Detroit), Katie Phillips (Louisville, KY/Bloomfield Hills), and Amy Sacksteder (Augusta, GA/Ypsilanti). In conjunction with the exhibit, a panel discussion with the artists will be held on March 20 at 2pm. Guest moderators, Vince Carducci and renee c. hoogland will lead the discussion.